Cities are being revamped every day. Old buildings are being demolished to make way for modern infrastructures. Abandoned industrial areas are being fitted out with state-of-the-art sheds. Road networks are being extended, parks landscaped and historical buildings refurbished. Operations are underway in a host of worksites in the suburbs and in the large metropolitan cities. Worksites where the problems of logistics, dust and noise need to be resolved rapidly and economically. And where environmental restrictions and the truck transit regulations are very strict. Not forgetting, of course, the cost of transporting materials to the dump, an expenditure item which can sometimes be unsustainable for companies. The MB Crusher innovation for urban worksites. 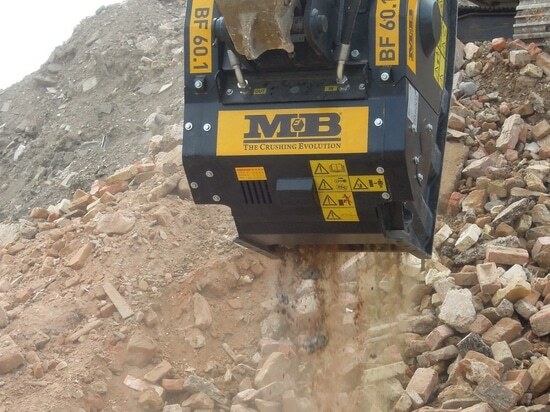 Today, MB Crusher products provide a solution for all kinds of city worksites. 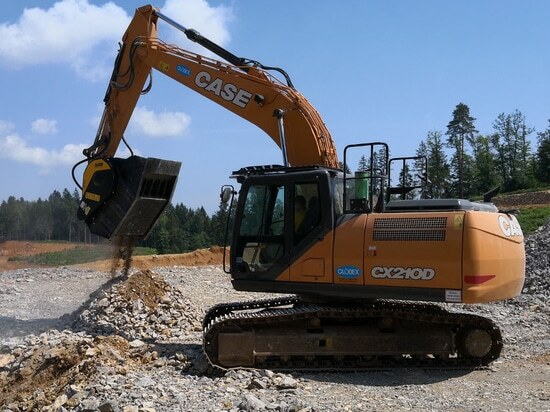 Crusher and screening buckets, grapples, drum cutters, make it possible to recycle the material directly on site and reuse it in other worksites, e.g. for the laying of road foundations, drainage systems, landfills, and new constructions. This leads to reductions in the costs for transporting waste materials to the dump and repurchasing materials. It also optimises work-time. 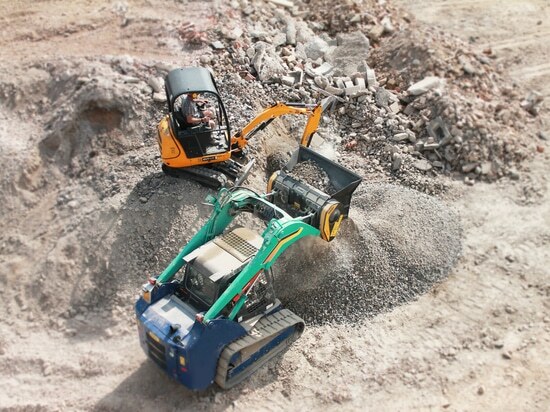 Additionally, the small, compact dimensions of the MB machines are ideal for those working in small urban worksites and old-town settings, where the use of mobile crushing systems is discouraged, or even prohibited. And that’s not all! Thanks to its range of options the MB crusher bucket can be rapidly regulated to feed out material of the grain-size selected. Material that can then be selected with the MB screening bucket, which fitted out with baskets of different sizes depending on the customer’s requirements. So aggregates which used to be considered waste have now become a resource, thereby generating extra earnings for the company. A trip around the world of urban worksites with MB Crusher. 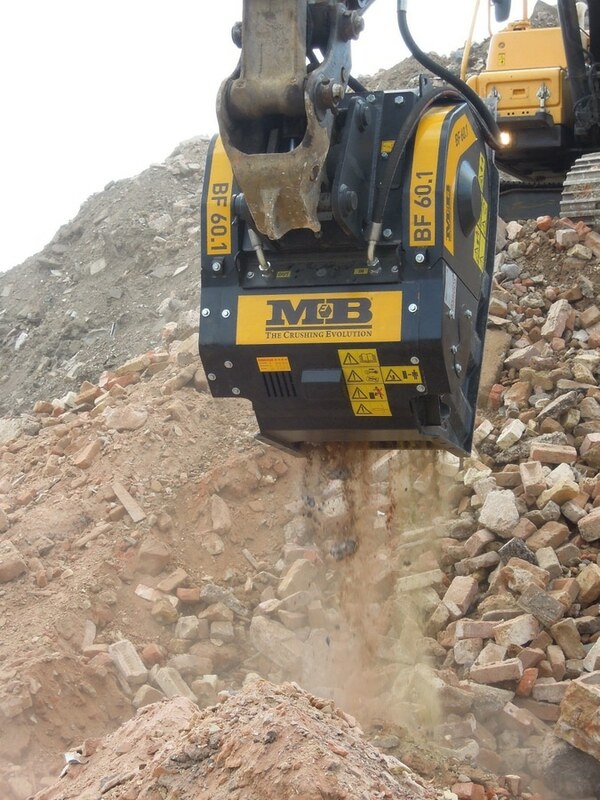 Today MB Crusher’s product range is in operation in many urban worksites. All over the world. Resolving the problems companies have to deal with in the workplace. One of many problems is safety, both in terms of personnel and the moving of vehicles, machinery and material. 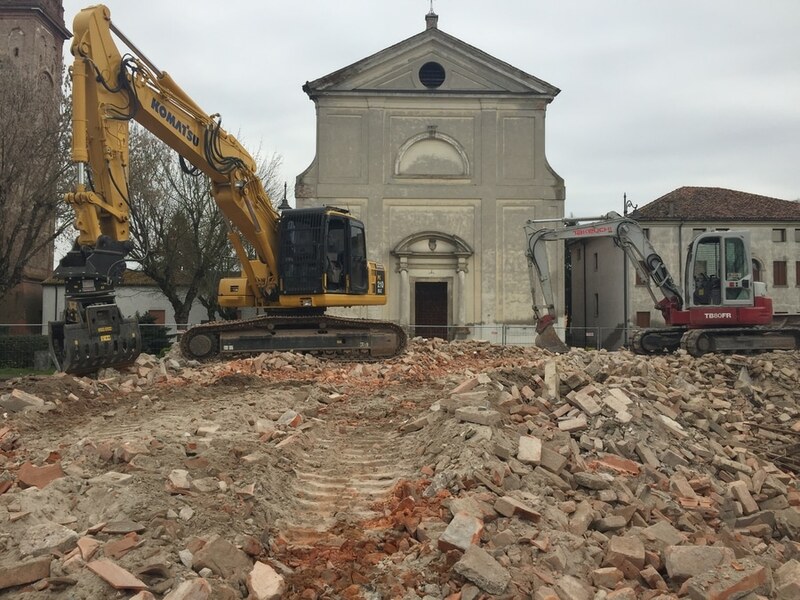 A practical example of efficiency as regards safety is provided by a worksite in a small Italian city, where a demolition company used the MB Crusher MB-G900 grapples model in order to demolish a three-floor building in a residential area. This was a winning choice thanks to the unique features of the product: it is safe (it is equipped with a fall-stop safety valve), it makes very little noise (thanks to the silent block), it is easy to maintain and versatile (its claws are interchangeable). 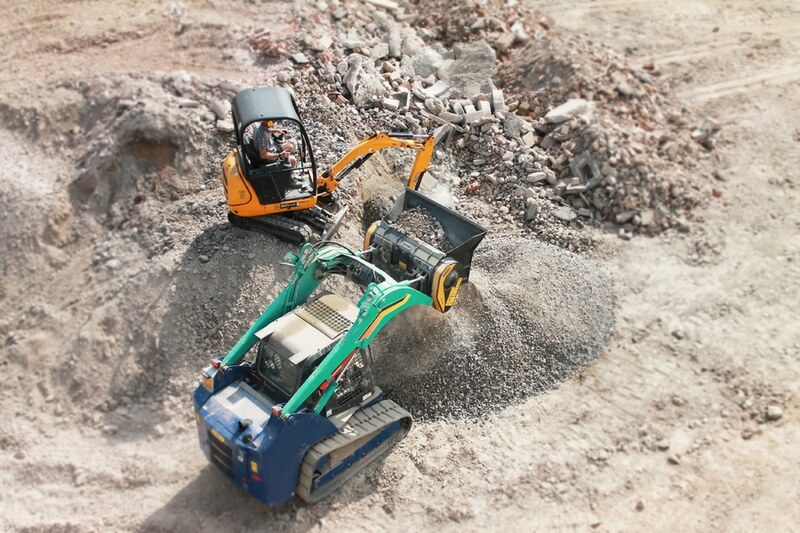 Another indispensable condition in the worksite is also the need to reduce noise and dust and manoeuvre easily in narrow spaces: in Germany, for example, the use of the MB crusher bucket has enabled many enterprises to eliminate the costs for transporting materials to the dump and salvage all the aggregates existing on the worksite. While considerably reducing emissions and consumption levels and damping acoustic pollution. 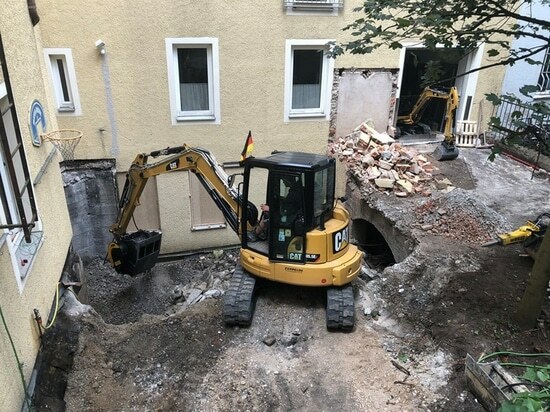 In particular, in the region of Hessen, a MB customer had to demolish a house in the centre of a residential area. With just one machine (excavator and crusher bucket BF80.3), the work was rapidly completed and all the waste materials were salvaged and used to refurbish the courtyard. In Bavaria, on the other hand, the crusher bucket model BF90.3 was used in a city to restore one of its most important squares, in front of a church. The crusher bucket crushed the cobblestones and limestone blocks produced by previous excavations. The aggregates were immediately reused on the same worksite for filling in the foundations of the new square. Further north, in the United Kingdom, a small company purchased an MB crusher bucket for the specific purpose of recycling the material generated by the demolition of an old school. After they had reduced its volume, they reused it for the construction of a play-park, thereby avoiding having to rent expensive and cumbersome crushing systems. 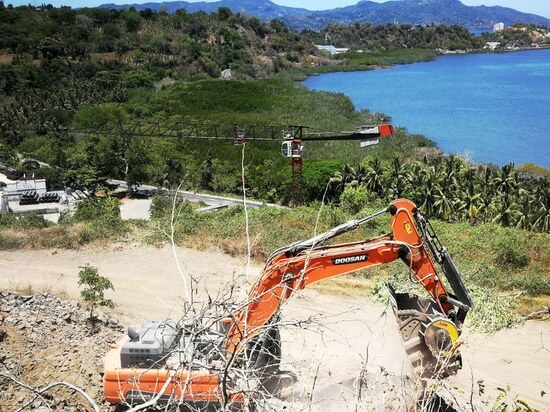 There was already an excavator on-site. All they had to do was to install the crusher bucket and quickly bring the works to completion. There are also many MB models in operation in metropolitan cities. Out of the many, let's take Istanbul, in Turkey, where six BF120.4 model crusher buckets and an MB-S14 model screening bucket operated in a large worksite on the project for the metro line between Mecidiyeköy and Mahmutbey. The combined use of this equipment enabled the company to produce hundreds of tons per day of material to be reused or sold.